Keshanis TaxApp – The future is here! A section on practical tax tips covering the family, businesses, selling assets and tax efficient savings. Keeping you up to date with current developments in tax and general business issues. Gross pay to net, gross pay to net (self-employed), VAT due, corporation tax due, company car and fuel benefits, SDLT due, loan repayments and mortgage repayments. Key tax rates tables with explanatory notes so we can now keep you up to date on the current tax position, such as the latest advisory fuel rates which are reviewed quarterly. Keshanis TaxApp will always be technically up to date and keep you reliably informed. 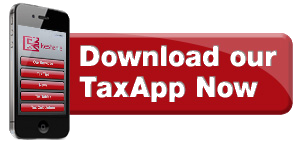 Download for FREE now https://keshaniandco.mytaxapp.co.uk/ and simply save to your home screen.